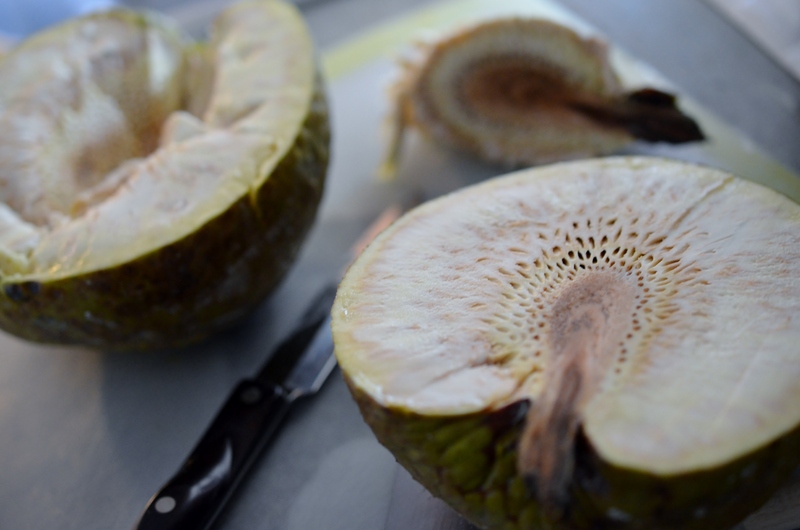 Breadfruit, a tropical fruit, known as Ulu in Hawaii, has a versatile flavor profile, which changes as it ripens. Much like a plantain, sweet potato or a pumpkin, it can be used in both savory and sweet dishes. When I bought this I planned to make fritters, but one thing after another got in the way and the green bumpy ball became softer and sweeter. When I cut into it I had to make a quick change of dinner plans and go straight for dessert. 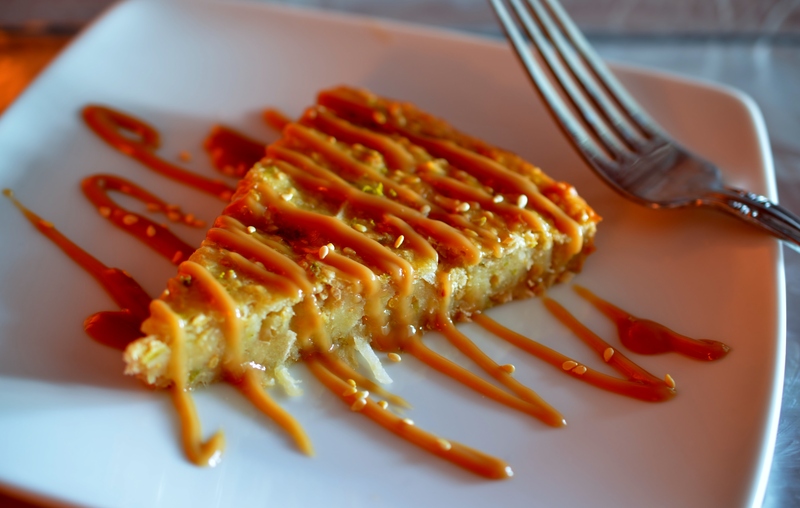 A quick look in the pantry and based on some recipes I read I came up with a coconut sesame breadfruit tart. 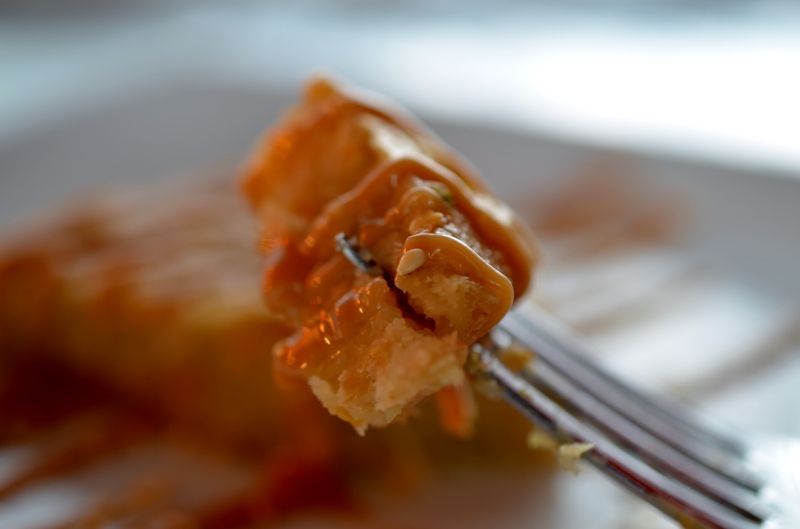 The tropical flavors were transporting, I drizzled a rum caramel over it and felt like an island girl. Preheat oven to 350. Combine all the ingredients into a mixer with the paddle attachment, (or of course use a mixing bowl and your muscles). Pour into a nonstick, greased tart pan and bake for 60 minutes until center is set. 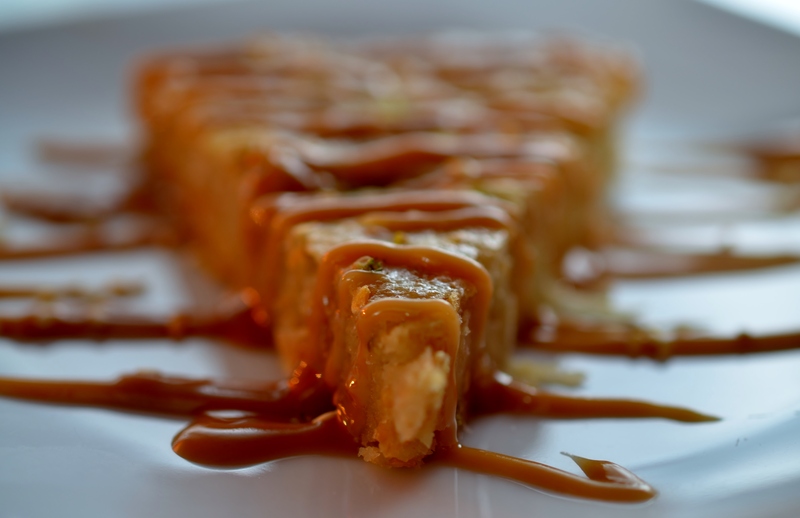 Serve warm or at room temperature with a quick drizzle of your favorite caramel. 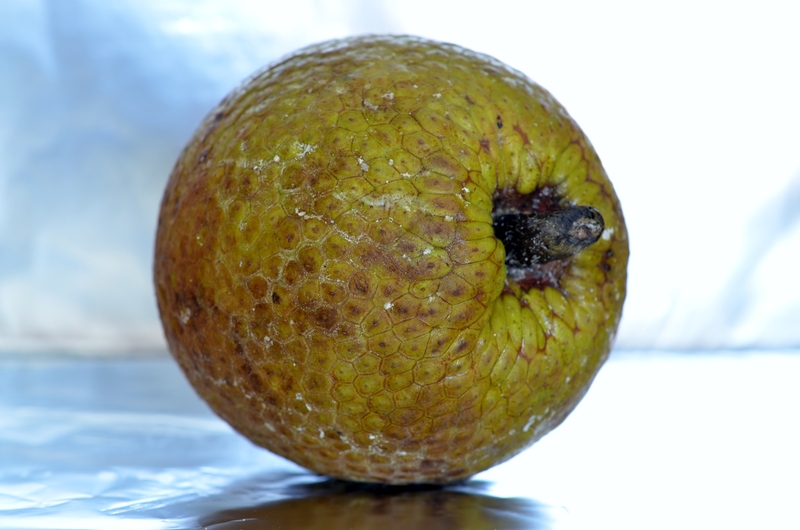 If you get a chance to cook with fresh bread fruit, sweet or savory I say “go for it”. They make a great palate for an artist in the kitchen!